BR Belle Air 6011 named the 2019 NWSS Supreme Champion Hereford! See him on our 2019 Results page. BARBER RANCH is an honoree of the Texas Family Land Heritage Program for 100+ years of continuous land ownership and agriculture production by the same family. The ranch has been family owned for 114 years. Dale and Mary have devoted their entire lives to raising top notch Hereford genetics in the panhandle of Texas, and are two of the most respected and recognized people in the cattle industry. They have four children who are all involved in the ranch today: Justin Barber lives on the ranch and is involved with all facets of ranch activities. Justin’s wife Jenna, is a veterinarian for Swann Animal Clinic in Amarillo and they have twin daughters: Henley and Beckett. Brett Barber and wife Reagan, also live and work on the ranch and have five children: Rylee, Bryden, Tanner, Tyler and Aidyn. Terri Barber is a sales consultant for Elanco Animal Health and currently resides in New Mexico. Jason, Jaci, Bode and Cole Barber live in Fort Worth where Jason manages the Purebred Division of Superior Livestock and is also a partner and co-founder of SmartAuctions. 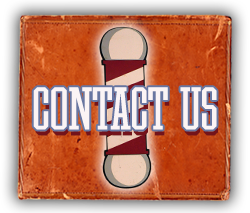 LOCATED 60 MILES NORTHWEST OF AMARILLO, TEXAS, Barber Ranch has been family owned and operated since 1904, running purebred Hereford cattle. The cowherd currently consists of 300 Horned and Polled Hereford cows. Extensive artificial insemination as well as embryo transplant is utilized to produce genetics that are consistently at the forefront of the Hereford industry. 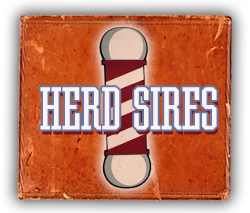 Barber Ranch bloodlines can be seen throughout pedigrees all over North America, and these genetics have been prominent in the winner’s circle at all national Hereford stock shows. Barber Ranch was a pioneer in integrating both Horned and Polled Hereford genetics together and producing pedigrees with popularity around the time the two breed associations merged in the 1990’s. To this day we still blend the best of both horned and polled genetics together to produce the best product. Barber Ranch also seeks fresh genetics constantly and for that reason continuously offers new breeding options at the forefront of the curve. THE BARBER RANCH ANNUAL HEREFORD BULL SALE: Beyond raising industry leading genetics for other Hereford seedstock producers, a primary focus of Barber Ranch is to raise outstanding bulls for the commercial cattlemen. Bulls for both segments of the industry are available in our Annual Bull Sale, which is held in the heart of Hill Country at San Saba, TX the second Wednesday of every November and will feature 100+ service age bulls. Through a lifetime spent in cattle production, we realize that our breeding decisions ultimately impact the beef industry. In an effort to positively influence our customer’s bottom line, we strive to raise cattle that will sire progeny that perform in the pasture, in the feedyard and on the plate. We would love for you to attend the sale in person, but for those of you that cannot make it we will be broadcasting the sale through Superior Livestock on television and online where bidding is available. 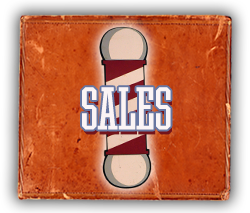 BARBER RANCH ANNUAL FEMALE SALES: For customers seeking the top genetics we have to offer, Barber Ranch hosts two annual female production sales: one in the spring and one in the fall. Typically the spring sale offers our top fall-born open heifer calves (both ETs and naturals) and the fall sale will offer many of the top end of our spring born open heifer calves. The date for our next sale is Friday, April 12, 2019. Please check the Upcoming Sales Page for more details.